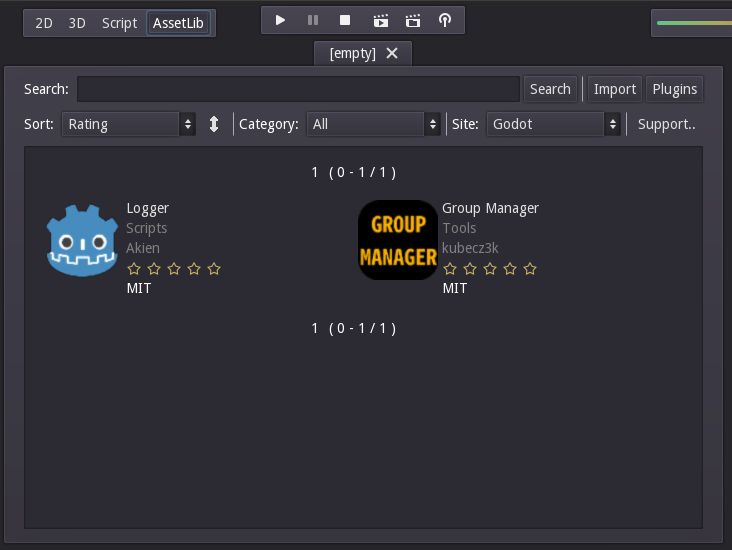 In related news, it was recently announced that there is work going on to allow C# (a extremely popular game scripting language also used in Unity3D) scripting in Godot besides the current Python based custom language. So this should lower the entry barrier for indie developers significantly, and maybe we will even see a conversion utility for open-sourcing simple Unity3D games? To make it clearer, it is not our belief that forcing programmers to write code with visual blocks will result in a more efficient workflow. We know other game engines and solutions try to sell you this point of view, but rest assured that this is not our view or intention. We stand by programming and still believe it's the best. Provide a way for non-programmers to experience what developing in Godot feels like, by ensuring they have a way to manipulate their game's logic. Allow programmers to set up their scenes, AI, etc. in a way they can expose the coarse parameters and logic to level designers or game designers. This way, they can do tweaks without bothering programmers. Allow programmers to expose how data is organized in a visual way. Godot's VisualScript has so much flexibility in how the graph flows that it allows creating dialogue trees, coarse game flow, event handling, etc. with small effort. Please understand it as just an extra tool, not as a replacement to programming. It will be possible to use both GDScript and VisualScript as complementary tool in a same project. Oh and last but not least, after long waiting the first version of the Godot based point and click adventure framework Escoria has been released. It is based on the work done for the pretty cool commercial game developed by the original team behind the Godot Engine, so it should be quite powerful. You can find the source code here and a nice manual here. P.S. : There is also work on-going on a higher level networking support for Godot, which should really help with multi-player prototypes.